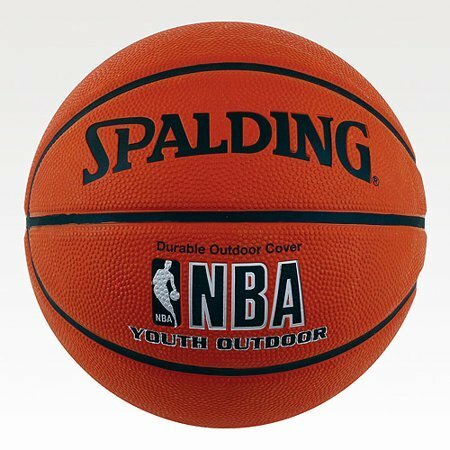 Let kids have some fun out in the fresh air as they practice their basketball skills with this 27.5" Spalding Official NBA Basketball. This youth-sized ball is made by a company known for the high-quality of its sports equipment. This Spalding youth basketball is endorsed by the NBA and signed by the commissioner, David Stern. The size is just right for the smaller hands of young children, and the ball is made for outdoor use with a portable hoop or a permanent one. This Spalding outdoor basketball has a tough, long-lasting rubber cover so it can withstand a great deal of use on asphalt or a cement pavement. This makes it ideal for use in pick-up games in the street or driveway, or it can simply be used for shooting practice or one-on-one challenges. This ball was designed for use by kids between the ages of 5 and 8. If you have any questions about this product by NBA Spalding Official, contact us by completing and submitting the form below. If you are looking for a specif part number, please include it with your message.